Ireland's 2019 Six Nations defence came to a shuddering halt as they produced one of the worst performances of the Joe Schmidt era and Wales claimed the Grand Slam with ease. Disjointed, totally out-muscled, ill-disciplined and sloppy – the very opposite of what a Schmidt team is supposed to be, this performance will linger long in the memory for the wrong reasons. 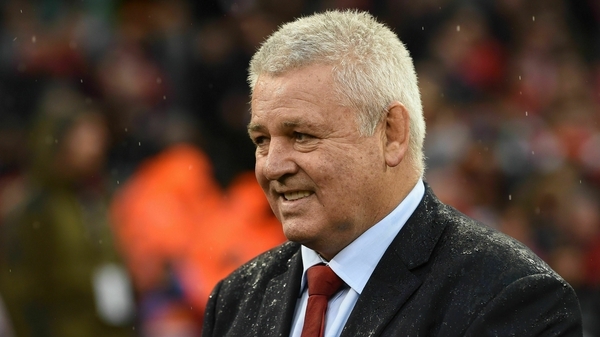 Warren Gatland now has three Grand Slams, the Welsh boss, like his Irish counterpart, departing the role after the World Cup. Wales were rarely spectacular on their clean sweep run, failing to register a single bonus point but a rock solid defence and the boot of Gareth Anscombe, who kicked 20 points today, was enough for a victory that extended their winning run to 14 games. Ireland, who had an outside chance of winning the title, simply had no answer with Conor Murray and Johnny Sexton struggling from the start – the duo have rarely if ever played so poorly. With a World Cup tie against Scotland 190 days away, Schmidt has to reset his team using four friendly internationals in late summer – two against Wales, one against Italy and a visit to Twickenham – or semi-final ambitions will be deemed fanciful. Wales made their displeasure about Ireland's choice to keep the Principality Stadium roof open known in advance and proceeded to demonstrate their ire by striking an early blow, Hadleigh Parkes collecting a delicate Anscombe chip on the line for the opening score with 72 seconds on the clock. The out-half, who soon after moved to full-back when Dan Biggar replaced the injured George North, converted. Parkes then saved a certain try down the other end as he chased Jacob Stockdale before forcing a knock on from last season's top try-scorer, who had gathered Sexton's smartly taken penalty. Soon after Anscombe landed a penalty after Sexton went off his feet at a ruck and it could have been even worse as Ireland struggled to live with Wales' pressure game. Tadhg Beirne, making his Six Nations debut, claimed a typical turnover before Gareth Davies hit Bundee Aki late while Wales were playing a penalty advantage. Ireland were struggling to hold on to the ball and a spell of pressure in the hosts' 22 yielded nothing but a cheer from the home supporters as a spate of knock ons and panicky passes saw them retreat 50 yards. Captain Alun-Wyn Jones, Ross Moriarty and Josh Navidi were leading the tackle count, many of them producing turnovers. Gatland's men continued their high-intensity game plan, forcing Ireland to concede eight penalties in the first half alone, and Anscombe added another two penalties before the break to hand them a 16-0 advantage, a half-time deficit that Wales overturned on the opening day against France. "It's just those small battles that Wales are winning," said Stephen Ferris on analysis duty on Game On on RTE 2fm. "They are superior in every facet, they are playing the referee better. Ireland haven't played any rugby." Ireland offered nothing on the resumption, Aki going down a blind ally, getting caught behind the gainline before Sexton booted the ball out on the full. Ireland would have emphasised the importance of getting the first score but it was Anscombe who struck when Cian Healy played Tom Francis off the ball. 19-0 with 32 minutes to play, Sexton, last year's World Player of the Year kicked the restart dead and the Grand Slam was secure. "It's a horror show, Ireland just can't get anything right," said Donal Lenihan as the wonderful Welsh support exercised their lungs with a rousing Land of my Fathers. Anscombe made it 22-0 with his fifth penalty of the day as Sexton again misfired, the Ireland out-half producing his most forgettable appearance in green. Jordan Larmour crossed for a try, converted by Jack Carty, with the last play of the game but it was hardly fitting, and a full inquiry will now follow. Ireland: Rob Kearney; Keith Earls, Garry Ringrose, Bundee Aki, Jacob Stockdale; Johnny Sexton, Conor Murray; Cian Healy, Rory Best (capt), Tadhg Furlong; Tadhg Beirne, James Ryan; Peter O'Mahony, Sean O'Brien, CJ Stander.